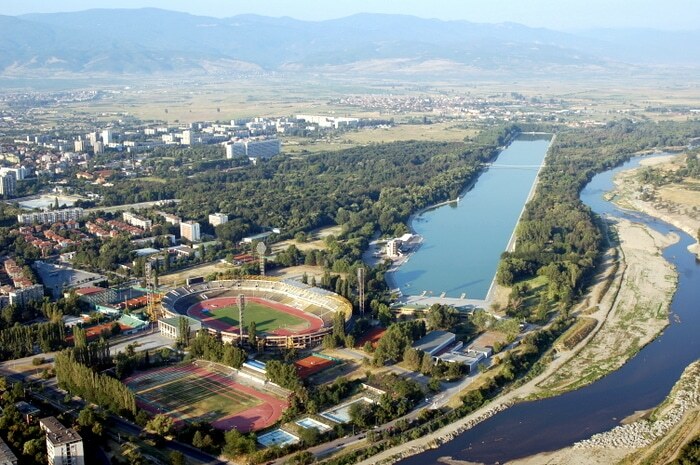 A little known fact is that Plovdiv is not only the oldest living city in Europe but it is also the host of the biggest rowing channel on the Balkans. It’s 2,2 km long and is located in the western part of the city amidst the green lungs of the city. After its renovation in 2011 it has witnessed many European championships and has become a favourite spot for the locals. While the water is not suitable for swimming, it does offer a relief of the scorching heat, which is expected to reach 36 degrees this week. For the visitors of the city this week also promises a bit more excitement and namely a rowing competition. It is taking place from 22nd to 26th July and you have the enviable opportunity to behold the making of sport history. Rowing teams from over 50 different countries will strain every muscle to win the coveted gold medal. Will you be there to see it? If, however, you don’t fancy seeing the tough competition, you could join us on one of the our daily tours at 11 and 18 o’clock in front of the Town Hall. We do hope to see you there!